Animals are sentient beings with physical and psychological needs that must be respected to prevent suffering and ensure good quality of life. By virtue of our education and commitment to animals, veterinary professionals have a unique ability to influence how animals are treated by individuals and society. We have a responsibility to use our training to protect, care for, and advocate on their behalf. By ready access to fresh water and a diet to maintain full health and vigor. By providing an appropriate environment including shelter and a comfortable resting area. By prevention or rapid diagnosis and treatment. By providing sufficient space, proper facilities and company of the animal's own kind. The HSVMA is committed to integrity and professionalism in pursuit of our mission. We are inclusive and respectful, seeking to engage all members of the veterinary profession and to develop partnerships with other animal care and welfare professionals. 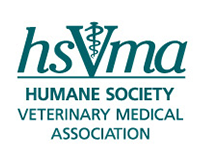 The HSVMA recognizes our unique position to create positive change for animals and will act in service of this mission in our communities and in the larger culture. We see good health as just one part of good welfare and endeavor to stand as leaders in the movement to build more humane communities.